Henry and I made a trip to Cabela’s to look at coats, snow pants, hats/gloves, and snow boots for our weekend getaway to Wisconsin next year. 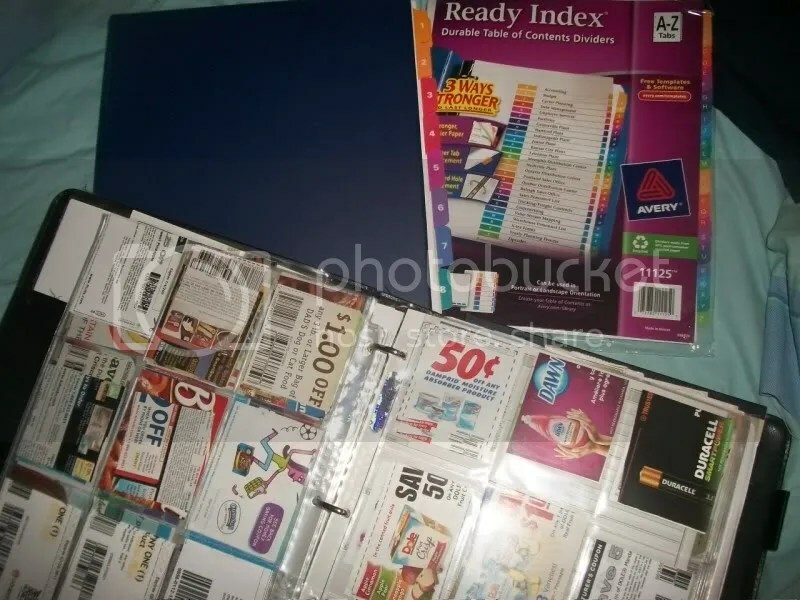 Coupon binders are all the rage right now. Coupon Mom is where I heard about them a while ago, but it wasn’t until recently that I really started needing one of my own. I raided my office supplies, so the only expense that I really had to start up were the baseball card sleeves. I used some 3-ring binder address book organizers that I bought several years ago. They helped to get me started until I had time to order what I needed. I also used a snap-closure binder that I had on hand. Again, one less thing to buy at the moment. First, I found a binder that fit my needs. Finding a binder to fit your needs, you want it to be big enough for all of your stuff, but not too big. Also, it really helps if it has a closure (zipper is best, but mine snaps), just to keep all of your stuff in it. I like Five Star 2-Inch Multi-Access Zipper Binder, Black (72121) , but I have Day-Timer Pink Ribbon Microfiber Snap-Tab Organizer Starter Set, Notebook Size (D88125) (minus the pretty pink awareness ribbon). Makes me wish that I would have kept my Five Star from high school! I like things in alphabetical order, so I got Avery Ready Index Table of Contents Dividers, 26-Tab, 1 Set (11125) for just that reason. All of my coupons for products that start with A (Aquafresh, Alpo, etc.) are all in the same place and I can easily find them. If you’d prefer to organize by category, Avery Extrawide Ready Index Dividers, 10 Tab, Laser/Ink Jet, 9.5 x 11 Inches, Assorted, 10 per Set (11165) would probably work great. They also have other sets (5, 8, 12, 15, 31) available. Pretty much everyone I’ve talked to uses baseball card sleeves. I have Ultra Pro 9-Pocket Trading Card Pages – Platinum Series (100 Pages) , with plenty left over for, ya know, baseball cards (or spares if a page tears or something). I also use Avery Economy Clear Sheet Protectors, Acid Free, Box of 100 (75091) for oddly-sized coupons, weekly ads for the stores I’ll be hitting up, and for various stores’ coupon policies (just in case…though I’ve never run into a problem).